I love a challenge or a competition. Not because I want to win - although that is great - but because it challenges me to design and complete a piece. It gives me personal satisfaction to set a goal for myself, and to reach that goal. It also makes me overcome the fear that my work isn't good enough. Last seminar, I entered the Leonida Leatherdale Award because I made that commitment to myself, but even when I saw my piece displayed I wondered what had possessed me to enter! Imagine, then, my surprise when I discovered I had won. I was thrilled with the bone broach/pendant, but I was equally thrilled that my peers had judged my work and found it good. I am sure that many of us have this feeling of inadequacy when displaying our needlework. 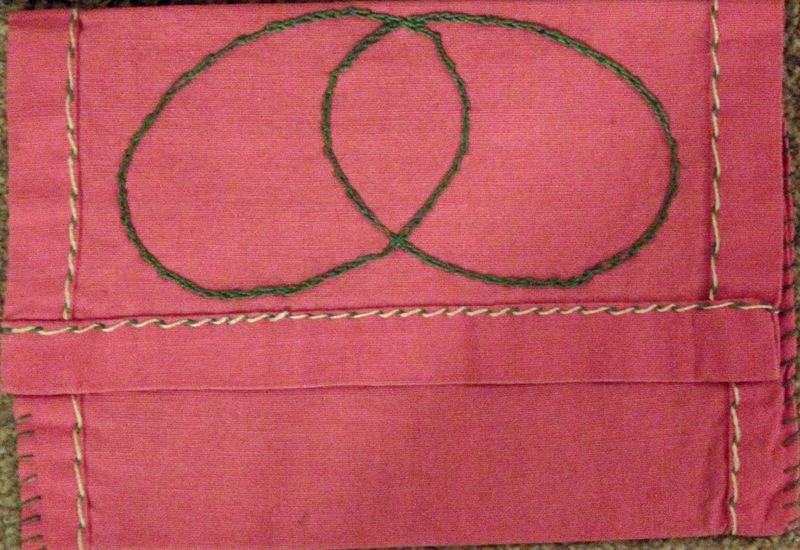 When I was seven years old, we were taught needlework at school (certainly shows my age!). At the end of the school year, our teacher held a display of our stitching. 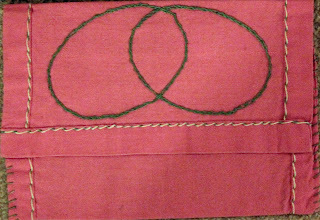 I had made a pink handkerchief case which I wanted on display, but my teacher told me the stitching wasn't good enough for display. I can still remember the feelings of hurt, even though I was allowed to display an alternate piece. I think the need to challenge myself and to compete probably started with this incident, so I guess the teacher did me a favour. I still have the handkerchief case, and one day I will get it framed, with the story on the back on the frame. My challenge to you is to enter a competition or challenge so that you, too, can experience and enjoy the satisfaction of achieving a goal. Check out EAC's challenges or is there one in your local chapter? I remember that handkerchief! Who knew it would launch you on such an amazing journey.